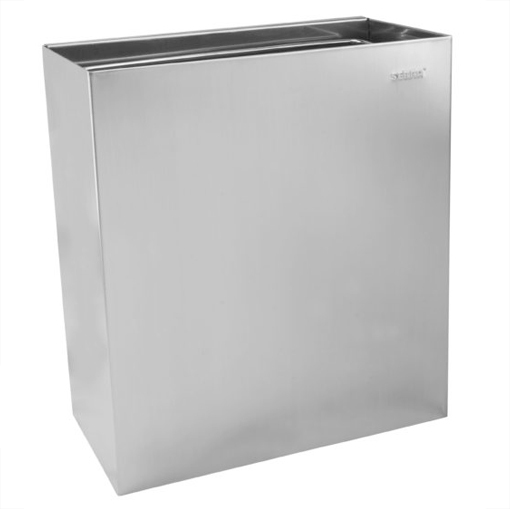 The Serra Disposor Slimline wall bin is a compact receptacle for washrooms with limited space. It is designed for off-the-wall installation with a sturdy, concealed stainless bracket. The wall bin has room for a removable plastic liner bag making emptying easier. Has a disposal capacity of 22 litres.